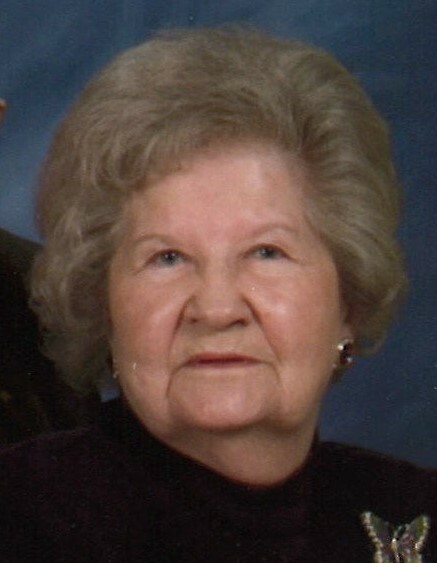 Kathleen Baker Ashworth, age 93, of Sanford, NC, died Tuesday, January 29, 2019 at her home surrounded by her family. She was born in Harnett County, NC on November 30, 1925 to the late Harrison Field Baker and Allie Bessie Ashworth Baker. In addition to her parents she was preceded in death by her husband James Hurley Ashworth; siblings Dewitt Baker, Felton Baker, Rufus Baker, Lonnie Baker “Junior” and Leroy Baker. She was a member of Jonesboro Heights Baptist Church and was a wonderful cook, loved her trips to the beach and pruning her rosebushes. She is survived by children Bonnie Ashworth Hughes, Betty Sue Haynes, Ronald Eugene Ashworth and wife Beverly and Wanda Teal and husband Danny all of Sanford; grandchildren William Howard Hughes, Jr., Darryl Lynn Hughes, Pam Ferrell, Donna Day, Brandi Carraway, Ronald Julian Ashworth, Ashley Lauren Teal; twelve great-grandchildren and nine great-great-grandchildren. A graveside service will be held at the Lee Memory Gardens Chapel Mausoleum, Friday, February 1, 2019 at 11:00 AM. The family will receive friends following the service in the chapel mausoleum. Flowers are not requested since Mrs. Ashworth will be entombed in the mausoleum. Please consider donations to Jonesboro Heights Baptist Church, 316 West Main Street, Sanford, NC 27332 or to a charity of your choice.